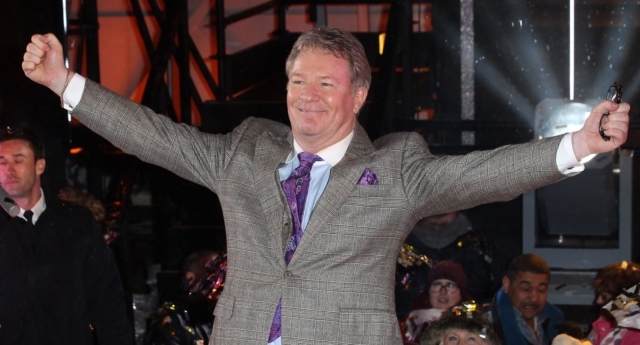 Comedian Jim Davidson has attempted to explain why he called gay people “shirt lifters” in a new interview for Piers Morgan’s Life Stories. The controversial comic, who previously hosted Big Break and The Generation Game, has a long history of sexist, homophobic and racist comments. Asked about the slur by Piers Morgan, he said: “Yeah that was a mistake. I made the wrong choice of words. And it just got into a hole. You know. However he refused to confirm he had evolved from casually using anti-LGBT language, answering: “No I just don’t call gay mates shirt-lifters anymore. More recently, he claimed that gay entertainers were more likely to be child abusers. He said of Jimmy Saville: “A bloke who’s a loner dresses and acts like a nonce and thinks he is the most important person in the world. He previously told the Guardian that his jokes do not cause offence “to the people I’m telling them to”. He said: “If you read them later or see it on a DVD then someone who doesn’t like me will take offence, but I don’t think a comedian in his wildest dreams is going to go out and try and upset an audience. “On the other hand, if you’re saying gay people, black people, any people, fat people, ginger people should be protected from comedy, then it is a sad world when people can’t use common sense and courtesy and say if I take the piss out of that person he won’t like it. He also implied that he will never be allowed to repair his reputation, saying: “If I cured AIDS and fed Africa and ended Ebola and found that missing aeroplane I’d still be that horrible racist, sexist, homophobic comedian. Piers Morgan’s Life Stories: Jim Davidson airs on ITV Saturday night at 9.50pm.